As the industry evolves to develop purpose-built solutions for growing data storage requirements, IT managers continue to rely on lower capacity drives that are economical to acquire, yet deliver quick and reliable data access for traditional data center applications. 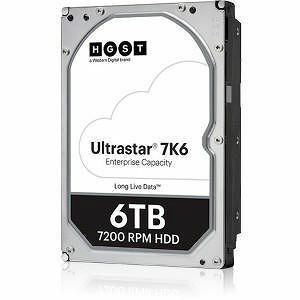 Ultrastar 7K6 is a low-capacity HDD, with 6TB and 4TB offerings, that helps address economic and access requirements of many traditional IT workloads. Lower capacity drives also help address architecture limitations. The Ultrastar 7K6 is designed for traditional storage and server applications as well as distributed and scalable computing, including block and file storage architectures, providing economical capacities, fast 7200 RPM performance and lower $/unit acquisition cost to help ease budget constraints.